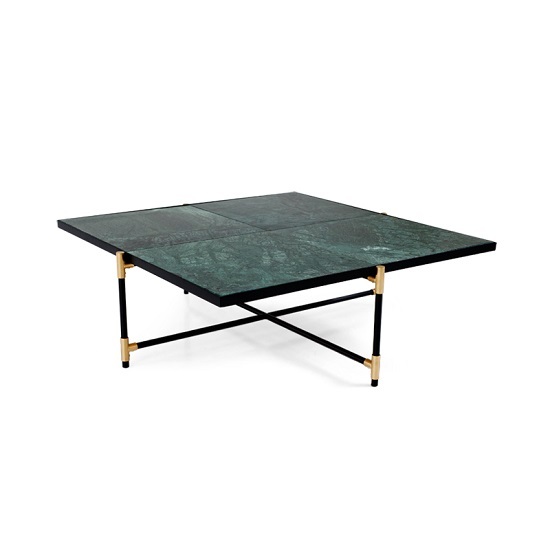 The Gemini coffee table is available with a brass-on-black base and green marble top. The table is crafted in Denmark by the Danish company HANDVÄRK. Size: L 35"W 35"H 12 1/2"